Photo from personal collection. All rights reserved. 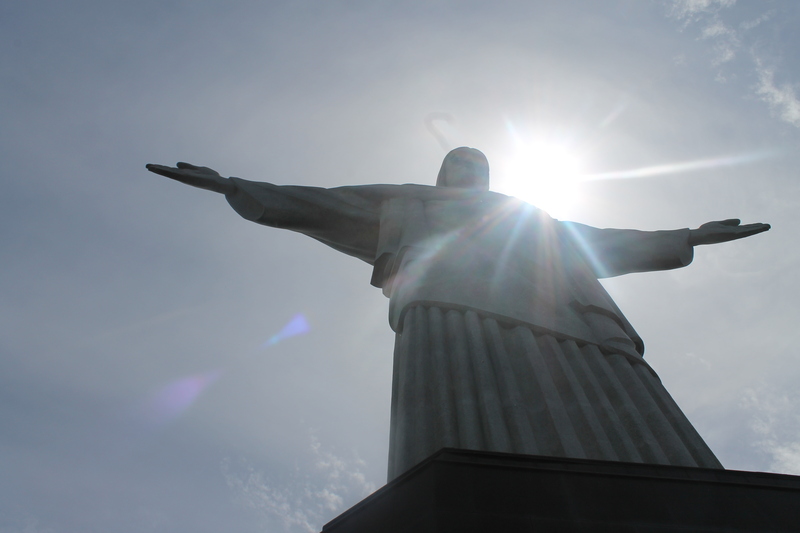 With Brazil set to hold the Football World Cup in 2014 and the Summer Olympic Games in 2016, it has shot to the top of many people’s ‘must see destination’ lists. From the stunning Amazon rainforest, the breathtaking Iguazu Falls and the majestic beaches along Rio de Janeiro, Brazil’s beauty is hard to deny. However like most destinations throughout the world there is a very romanticised notion about Brazil. While it’s very likely you’ll have the time of your life there, I’ve outlined some things to keep in mind when in Brazil. Crowd numbers can swell immensely, and the nature of the crowd often depends on what time of day you’ve joined the part and how boozed up they are. It’s a confronting situation to find yourself in, surrounded by thousands of Brazilians in party mode. It’s particularly important to stay with someone if you’re a woman. Carnival is infamous for ‘free spirited affection’. You’ll most likely be approached by a Brazilian guy who will try to kiss you, and sometimes they don’t take no for an answer. If they’re not approaching you trying to kiss you, beware that you’ll probably be groped. You’re probably wondering why Brazilian women are okay with this behaviour, but as I was informed “it’s just what happens at Carnival.” So be sure to keep an eye on your friends at all times! Implement a buddy system so at a minimum there’s two people always together. This should seem obvious given the above description of what the crowds can be like. The more flesh you show, the more likely you are to attract unwanted attention. Avoid wearing loose clothing, and definitely don’t wear a skirt. It doesn’t take much to draw a Brazilian’s attention, particularly if you’re a tourist. Carnival is known for being a boozy night out, and many thieves will use this to their advantage. Ensure you don’t take out valuables (e.g. expensive jewellery), and only take a minimal amount of cash. There’s street vendors selling all kinds of foods and drinks, so the smaller the denomination the better. Valuables which you need to take out (e.g. your phone) make sure it’s kept close to your body so you can tell if someone’s trying to take it. For a complete Carnival survival guide, check out this article by Pedestrian TV. 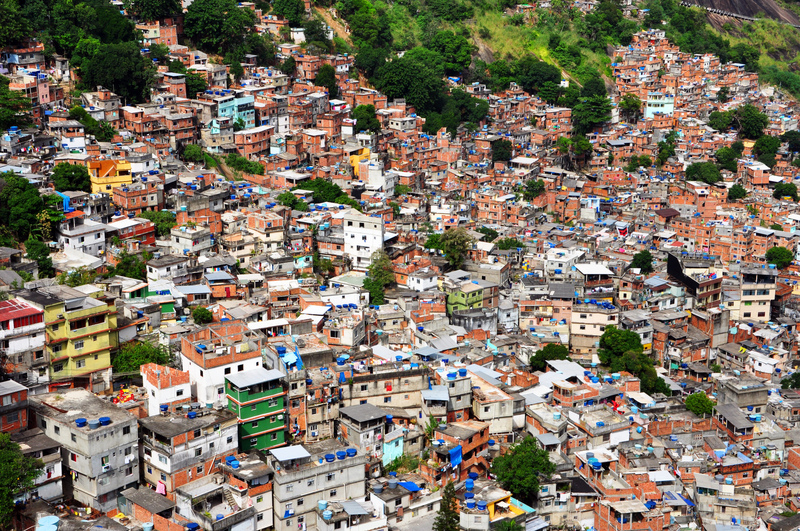 Favela is the Brazilian term for shanty town. Favelas house some of the poorest people in Brazilian society, with residents coming to form small communities. Favelas make for an incredible sight, especially if you haven’t come into contact with communities of this kind. They’re usually highly condensed into higher parts of the cities. The largest favela in Brazil is located in Rio de Janeiro. While favelas make for a great sight, if you choose to visit these communities you must exercise a high degree of caution. While the government has taken steps to clean up these areas in anticipation of the Football World Cup and the Olympic Games , these communities have come to be synonymous with drugs and violence is a regular occurrence. Many tour groups offer a favela tour, in which they take you within the favelas (but only the safest parts) and you get to experience another aspect of Brazil. If you choose to go without a tour group, ensure you’re at least going with someone else – preferably someone who speaks some Portuguese. The most important thing is that you should never go to favelas at night! Brazil is a football crazed nation. The national team has won the Football World Cup five times! That’s more than any other nation. With such passion comes a high involvement with the game. Soccer riots are common in Brazil, with violence sometimes reaching lethal levels. Recently a football referee was decapitated and his head stuck on a pike in the middle of the field after he stabbed a player – read more here. Going to a football is something you need to do whilst in Brazil, although it is important that you be mindful of your own safety. Avoid taking valuables, as thieves are active in large crowds. Most importantly, be sure not to antagonise Brazilian football fans by making comments about their team. If you do, you may find yourself in a serious confrontation with many angry Brazilian football fans.